I’m no Elias Sports Bureau, but I can’t think of a time when both Heart of Midlothian and the Mets would have topped their respective divisions this side of 1986! (great year for the Mets, painful one for Hearts). It most likely won’t last, but I am going to enjoy it while it does! There has been considerable debate this week as to whether we wanted Hearts to with the Scottish Championship today by virtue of cross-town rivals Hibs not winning or wait until we play Queen of the South at Tynecastle and win it in front of our own fans. General consensus was that Hibs would win relatively easily today against Rangers and we could have our party next week. This of course fails to take into account Hibs never ending ability to buckle when the pressure is on, especially if Hearts are involved! It really isn’t very often that this sort of thing happens, though with the way this season has been going there was chat on the message boards that one of these days, someone was going to take a real beating. We’ll today they did. The Blue Brazil of Cowdenbeath came to Tynecastle and probably wished they never had. The score may have been 10-0, but it actually could have been more. With Falkirk drawing with Rangers last night, the league table is looking better and now Hearts just need 16 points from their final 1o games to win the Scottish Championship and guarantee promotion. Have you heard of the Heart of Midlothian? It’s been a while since I have blogged about Hearts, in the meantime, we have basically gone bust, been relegated, and started all over again. For those of you not used to the world of soccer/football, the team that finishes bottom (and sometimes second bottom too) of a league is relegated to the second tier league (in Scotland there are four leagues in the senior game – to complicate it even more there are additional feeder leagues). It’s almost like the worst team in Major League Baseball getting replaced by the best AAA team). In fact what a weekend! On Friday night Calum and I headed up to Clifton Park, New York to see one of our favourite bands, Rancid (we’re going again tonight in Boston). Great show, lots of bouncing, dancing, and singing – a good warm up for things to come. 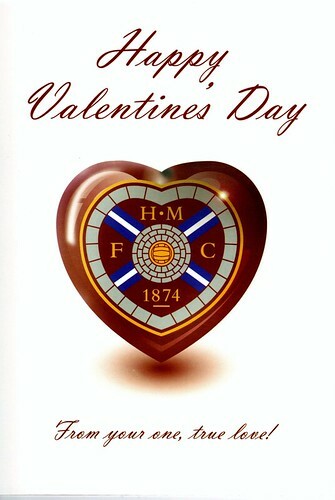 On Saturday, the famous Heart of Midlothian Football Club will take on the lowly Hibernian in the Scottish Cup. This is the first time the teams have met in the cup final since 1896! As you can imagine, it’s rather a big deal! In many ways, I think Hearts have more to lose. Ove the past few years we have definitely been the better team, including of course winning 4-0 in the Sir Paul Hartley semi-final. What a sporting weekend it was! 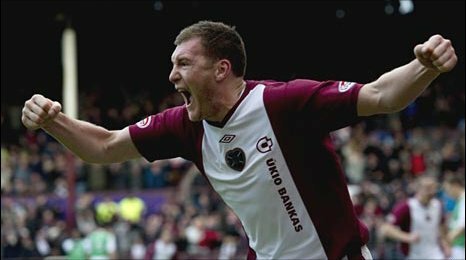 In the biggest game of the weekend, Hearts beat Hibs 2-2 in the Edinburgh Derby (it might not be as big a victory as the famous 4-4 win where Hearts were 4-2 down in injury time, but playing the last hour of the game with only 10 players and coming back from being 2-1 down, it certainly felt like a win). In baseball’s opening weekend, the much maligned Mets got off to a winning start by taking 2 of 3 away to the Florida Marlins. It was all very nicely rounded off my current favourite Met, knuckleballer R.A. Dickey (doesn’t he just sound like a knuckleballer?). I am on my way to Edinburgh for a quick trip to celebrate my parents’ golden wedding anniversay. While there I will still be available by phone and email. 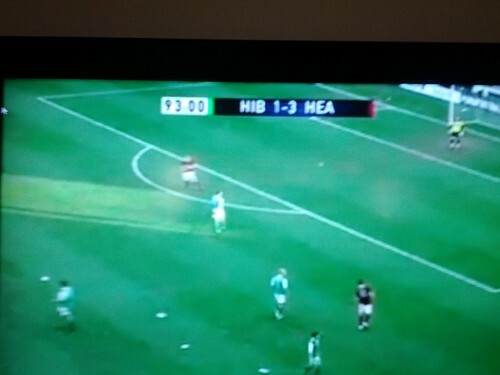 Before that though there was the small matter of the Edinburgh Derby. Thankfully that got 2011 of to a wonderful start as Kevin Kyle headed home the winner with 4 minutes to go. By Justin Brockie|2016-11-03T04:24:15-05:00January 1st, 2011|Categories: Heart of Midlothian|Tags: Heart of Midlothian|Comments Off on Have you heard of the Heart of Midlothian?